Take the N3 from Harrismith to Durban over Van Reenen through Tugela Toll Plaza. Take the off-ramp R616 Ladysmith left (±6km after the Toll Plaza) to Bergville. Turn right at stop to Bergville (R616), and drive for ± 35km. 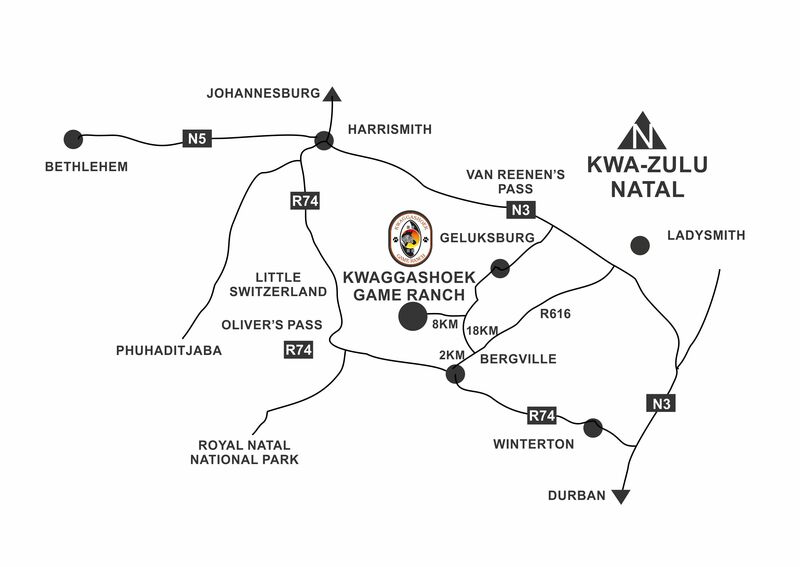 Turn right 2 km before Bergville and drive towards Geluksburg for 18km, turn left at Kwaggashoek Game Ranch, and follow road for 8 km to Kwaggashoek Game Rach gate/entrance.